Adaptek GSM/GPRS data loggers are used in many applications in various industries. These help in keeping a continuous watch and control sensitive data. Electrocom Stanter Monitor is feature rich instruments. 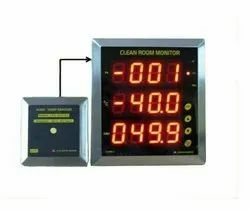 It display temperature of all five chambers, provide control outputs, display production and online speed . Effective Distance for Transmission & Reception: Approx. 50M in an open space. Temperature Range: Operating Temp. 0 to +50 Deg.C. ; Storage Temp. -20 to +60 Deg.C. 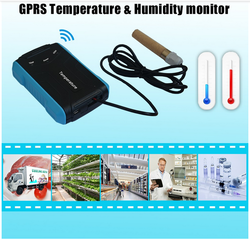 We are offering Temperature Monitors to our client. Relay Outputs: 2 nos. High/Low alarm relay each for T and RH - Total 4 nos. Enclosure Size: ABS plastic with transparent protection cover 212(W) x 185(H) x 106(D) mm.